I gave up making promises to myself with the coming of the New Year long ago. If I am truly resolved to do something, I realized that it will happen regardless of whether I make up my mind in January or August. And if I’m not, well… no amount of January-induced-guilt is going to goad me into following through. So this year, I am keeping it mellow and not making any big plans. 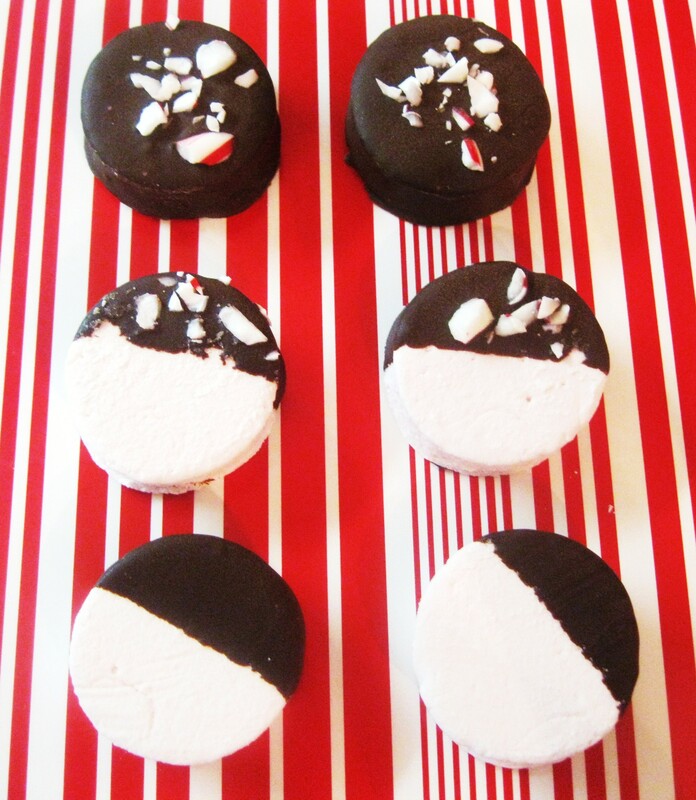 I’m also keeping it ‘mallow with some homemade peppermint marshmallows. I know that when Richard Harris recorded the song MacArthur Park, he was singing metaphorically about the end of a relationship, not about baking a cake. Back in the 1970s, when people owned record players (and even 8-track tapes) , my parents used to play the Irish actor’s recording of the song humorist Dave Barry deemed the Worst Ever Written. It was always a puzzle for me trying to figure out why anyone would be so upset about a cake with green icing. Who eats a cake with green icing anyway? Maybe Jimmy Webb’s metaphor was ill-chosen, but the lyrics resonate on a literal level with anyone who has ever spent time baking only to discover that his/her end product is not what he/she had envisioned.And let’s be honest, that’s everybody who has ever baked, from novice up through the professional ranks. I woke up this morning with a holiday baking project ahead of me. My mom volunteered me to make cookies for a small group of her co-workers. If there is one thing that I can get behind during the Christmas season, it is definitely cookies and candy and cakes…and anything baked. For instance, one December tradition for me is perusing the Washington Post food section’s color photo-illustrated cookie “edition” and ruing all the recipes that I won’t get to test. I am not much in the “Christmas spirit” otherwise. First, I’m not Christian, so my version of Christmas usually involves Chinese takeout and a movie. Second, I have a phobia of large crowds, and don’t like to find myself crushed and stampeded during the open (shopping) season between Black Friday and January 2. My number one rule during December is to avoid the malls. Like a plague. A recent article on the cult of the food blogger has made me especially contemplative about my venture into the medium. My decision to become part of an online community of food proselytizers is in some ways a natural progression in that writing for me is as second nature as eating. For as long as I can remember, I have felt a particular affinity for the written word. Some people communicate better orally. I am not one of those people. I often find it difficult to distill my thoughts and feelings into the formal patterns and stilted rhythms of everyday speech. Something is always lost in translation. I don’t know if this is because I started life with an Elmer Fudd tongue and therefore have some residual fear of tripping over simple words, or if, perhaps, it is a byproduct of shyness and insularity. Perhaps the answer lies in some combination of the two. However, the written word has always been different. I can make people “feel” what I feel through writing. I can say the things that I can’t say to them face to face. I am more “me” than at any other time when I am writing. Food is also a medium of spirit that allows for a transcendent brand of communication. It can be a barrier breaker (and conversely, maker) that “speaks” to us on both an intellectual AND emotional level. Eating is something that we all know how to do. It is a medium through which intention and motivation and inspiration are unspoken yet easily understood. And so for me, I am ecstatic to finally meld these two forms of communication together. At the same time, I am mindful of certain sober realities. There is a responsibility that comes with writing for an audience about any subject, but particularly about food. 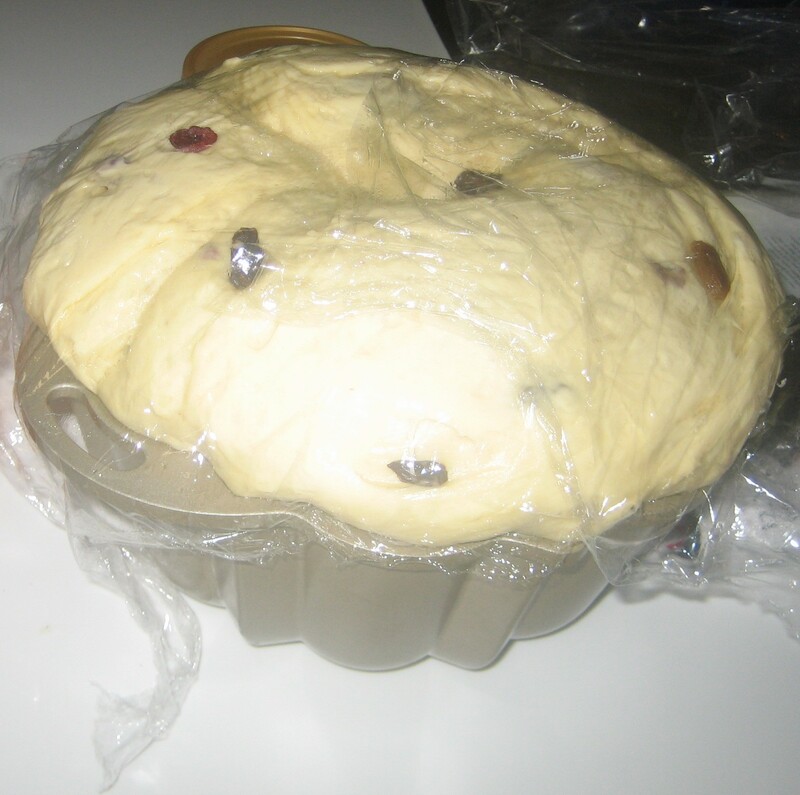 Welcome to tortefeaster, a blog about second chances, dream-chasing, baking, and food lit/news. Before I start pounding the keyboard in earnest, I thought I should introduce myself. Tortefeaster was born on a heart-breakingly chill December night in the Queen City.On Sunday, the 12th, I apprehensively peeled back the drapery shielding the once-charming but currently nonfunctional balcony in my rented condo unit and spied snow. Yes, snow! Maybe it was shock, boredom, loneliness or a combination of the three that finally drove me to put the pedal to the metal and start this blog. I’d been contemplating blogging off and on for almost two years. But now? Suddenly, it seemed like the right time to be a little self-indulgent–to flatter myself into thinking that maybe some people will play along. But I needed a name…A name for the blog. A name that would convey the crazy, epiphanic, life-changing, soul-sifting journey that I have been on for the last two years. And then it hit me. Tortefeaster!